British rock band Def Leppard have announced plans for a new Las Vegas residency. The band’s 12-show residency, dubbed “Def Leppard Hits Vegas: The Sin City Residency,” will kick off on August 14 and wrap up on September 7 at the Zappos Theater in the Planet Hollywood Resort & Casino. 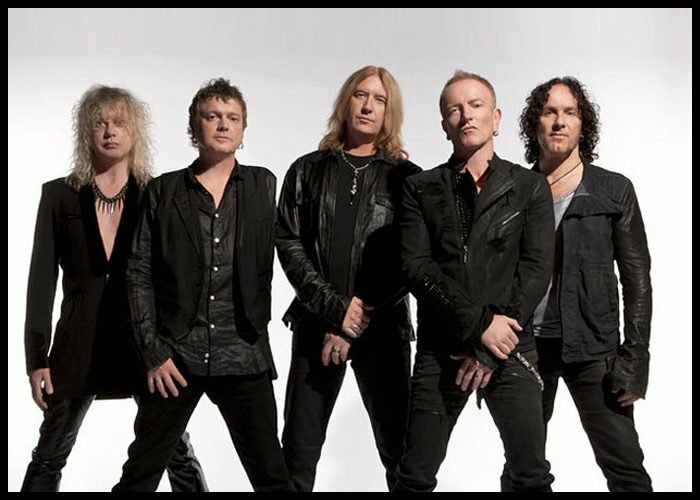 Tickets for “Def Leppard Hits Vegas: The Sin City Residency” will go on sale Friday, February 22 at 10 a.m. PT / 1 p.m. ET and can be purchased online through Ticketmaster or in person at the Planet Hollywood box office. Def Leppard also recently announced a 11-date Canadian tour this summer, which will kick off on July 12 at Scotiabank Centre in Halifax, Nova Scotia, and wrap up on July 31 in Calgary, Alberta. Tesla will join Def Leppard on tour. Def Leppard will be inducted into the Rock And Roll Hall Of Fame on March 29 at the Barclays Center in Brooklyn, along with The Cure, Stevie Nicks, Radiohead, Roxy Music, The Zombies and Janet Jackson. Def Leppard’s new greatest-hits collection titled The Story So Far – The Best Of, was released on November 30.